I am coming up with some additional unit types for a Dark Age scenario I am putting together. I was wondering what other peoples thoughts/opinions were on these as far as representing them (ie is it worthwhile). I had in mind units such as VTOL, Battlearmour Regiments/Battalions, Combined arms regiments and the LCT. I came up with the base BA Regt 10RP cost from the old inner sphere in flames rules, which had a BA Coy as twice the cost as a Light Infantry Coy - I then dissected the cost of a 6RP ISaW Mechanized Infantry Regiment (2 LI bns and 1 L AFV bn) to get a full LI Regt as 5 RPs. For a combined Arms regiment ie something like the Anduriens would use, I thought just purchasing combat formation with a BM bn, AFV bn & BA bn (with RP costs of something like 11/15/18/25 for the various weight sizes). For a Federated Suns LCT I was thinking that perhaps this could be purchased as unique type of Combat Command, with different weight classes as purchasable. I was thinking a full standard sized LCT would be 1 reinforced BM bn, 2 Hvy/Assault AFV bns, 2 Md AFV bn, 2 Light AFV bns (VTOLS), 1 ASF Wing, an AFFS BA Regt and an artillery Coy (perhaps a battalion for heavy or assault units, or perhaps a battalion fullstop). The cost of this would be somewhere between 75 to 90 RPs without jumpships or experience/loyalty modifiers. I was thinking of making only two weight sizes purchasable Cavalry (Medium) and Heavy-Assault (leaning towards Assault). 2. Clan units - perhaps purchasable only as Trinarys - but having to be formed into Clusters. 7. Light Infantry Regiments (very weak, but mainly for militia), maybe also a redo of the stats etc for the generic Mechanised Infantry Regiments (2 infantry battalion and an APC battalion) replacing them with a Regt of three infantry battalions & APCs, and/or adding Jump Infantry Regiments - but Im not sure if these last two are worthwhile. Anyway I am curious as to what people think about what I have said here. At the ISaW stage, it's all rolled up through the SBF into ACS, but it's potentially great flavour. However, from the fiction, I don't see units being segregated at the regiment level. Combined arms seems to be the flavour of the day, down to the company level at least. So it's more likely that a battalion may have an assault company of 'Mechs, armour and BA, a scout company of hovers, VTOLs, and BA in fast transports, and a fire support company with armour, infantry & artillery. I haven't used the ACS game enough to know if that makes much difference. Onion2112, have you made any progress with the Dark Age scenario? Would be interested in taking a look at whatever you've come up with. I've made decent progress on my Dark Age scenario, but life gets in the way a lot of the time, but ive ticked a few boxes. I thought with the Dark Age, due to the huge amount of factions, that it not be possible to get enough players to do a campaign that would cover the whole inner sphere and periphery. The scenario Ive come up with is basically the 3-way war of Federated Suns, a bit of a reverse War of 3039, but beginning from 3146 (so the Federated Suns is a mess). I did/have considered looking at a similar one with the Lyran Commonwealth, or perhaps a Free Worlds League reunification War. I have come up with a list of Factory worlds, for this I used the Jihad Objective Raids books, I also sourced Mad Capellans 3067 Objective Raids book, as well as the Tech Read outs from 3085 through to 3145/50, there are also references to events other books. There were a few worlds such as New Syrtis and Robinson that I was unsure of whether to rate as Major or Minor (I went minor). Others were Tikonov, Crofton, Marduk, Quentin & Kathil (Crofton & Kathil I rated major, the rest minor). With Shipyards Ive rated these as minor industrial (or shipyards), but only capable of building Assault Dropship, Carrier or PWS units, limited to one per yard every 6 months. I don't really like warships that much (I do like the idea of PWS), so I was thinking of extra costs around warships, or just making them massively expensive. Faction forces as per FM:3145. With a starting ratio of one Assault/PWS dropship squadron/wing per mech regiment. I am working on DA combat Command cost table with extra units. Ive made Abstract Combat System & Strategic BattleForce unit tables for Kurita, Liao, Davion, Wolf Dragoons, the Snow Ravens & Filtvelt Alliance. As far as ground forces go Im 90% done, with naval im still pottering away. With the Republic, Free Worlds League and Ghost Bears (plus pirates) I was thinking of using the NPC border raid rules from he Andurien Wars scenario in Brush wars for Inner Sphere at War. With the Republic borders being impassable. With faction traits I was not changing much, Federated Suns won't have superior doctrine until Julian Davion returns home (1st Davion Guards RCT). I was thinking of having him start (with the 3 combat commands) in 3146 at Callison and making his way to the Federated Suns (standard movement)....his return only occurring on a capital world (Kathil, June or New Avalon) Free transport until then...courtesy of the Sea Foxes. End date was potentially 3150 or the fall of June, New Avalon & Kathil or recapture of Robinson, Chesterton & New Syrtis. Very cool stuff, thanks for sharing it. Have you statted out the 17 warships the Ravens have in 3145? I've never really been much for warships myself, and am curious how they compare to the PWS / Aerowings at the ACS/SBF level. I noticed that you hadn't gotten to them yet, but have you had any thoughts about modeling the augmented regiments that the CCAF fields in this era. Have you done any FedSuns LCTs? Happy to see strategic level gaming in the Dark Age -- FM 3145 is one of my favorite books of the last few years. 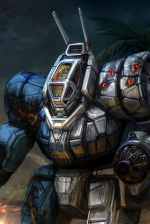 Ive actually done some stats for the Capellan Augmented Mech Battalions, plus the Warrior House mech battalions. For a standard Mech/Vehicle battalion I made one company a reinforced company (with the command lance), and the other 3 the standard sized one....its 4 elements over the allowed/recommended 48, but these are still not as powerful as the reinforced Mech battalions I created for LCTs, plus I didn't think example was abusing the rule. For the Augmented Mech/BA battalion same deal, but I made the battlearmour all Fa Shih, as they have the XMEC ability, so can be transported on the mechs no matter what. Warrior house Mech battalions are similar to above (but 3 companies and no command lance), with the warrior house infantry battalions one BA squad was to be Fa Shih, carried by mechs and the other Shen Long, which has MP 4 (plus the Shen Long write up in TRO 3145 has a House Ijori user of this suit). For a standard LCT I was thinking just make it individual battalions, ie 1 reinforced BM, 2 Assault AFV, 2 Medium AFV, 4 Battlearmour, 2 Recon/transport VTOL, 1 ASF Wing, artillery company. My thought was that these units could be parceled up into ACS formations as the player sees fit. For interest I did do some stats for a Ceti Hussar LCT, with 3 combat command (regiments), by just averaging out the stats from the what I see as a standard sized LCT. Each Ceti Hussar combat command had 2 battalions of Combined arms cavalry and 2 of combined arms heavy. The stats are surprisingly competitive, the heavy battalion, probably is similar or slightly more powerful) than a medium battlemech battalion, while the medium/cavalry battalion is probably half way between a light & medium battlemech battalion. For dropships & warships I grabbed the Alpha Strike spreadsheet done by Alexander Knight from this site. Ive mainly only done some work on Capellan, Kurita and Davion PWS/Assault/Carrier Sqns/Wings. In the FM 3085 theres a reference to a Fed Suns Navy PWS/Carrier Sqn of 6 craft, and Ive used this a basis for Davion PWS Sqn sizes (which also matches the Medusans Dropship mercenary Sqn size). At this stage and for a bit of balancing the Fed Suns PWS Sqns (4 Arondights, an Overlord A-3 & Excalibur-PWS) I added Assault craft lances (or fighter sqns in the case of Overlord A-3s and Excalibur-PWS), whilst the Kurita sqns (3 Taihous and 3 Nekohono'o-SCLs) get no small craft or fighters but I added 3 Achilles (3088) - this creates a naval C3 network too, as well as the ability to carry an ASF wing (the word triumvirate is used in the TRO for Achilles (3088) so I thought 3's). Pure Assault Dropship Wings Ive used 12 as the basis - that's the traditional number mentioned in the old battleforce. (Fed Suns basically Avengers, Kurita Achilles (mixture of 3055 & 3088) & Capellans Lung Wang P2s with some Achilles and Avengers). The Kurita Assault Wing is comparably very powerful, so I'm still pondering what to do here. Perhaps I should do some of the Snow Raven warships with attached Titans and whatever else to get a comparison.